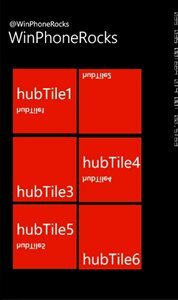 HubTile is a Windows Phone control that is part of the Silverlight Toolkit for Windows Phone . This control enables the Developer to build a screen that has Tiles and somewhat similar to the Windows Phone start screen . To create a HubTile on a Windows Phone Page , just drag and drop the HubTile control from the Visual Studio Toolbox .